At GAP Inc., we all start our careers as laborers. It gives us a certain appreciation. You could say that it’s evolved into somewhat of a no-exceptions-no-way-not-ever-policy. So if you’re looking for work and you’re not above getting your hands dirty, get in touch. We’d love to hear from you! Utilize vacuum or high-pressure water to clean or remove material from required areas. 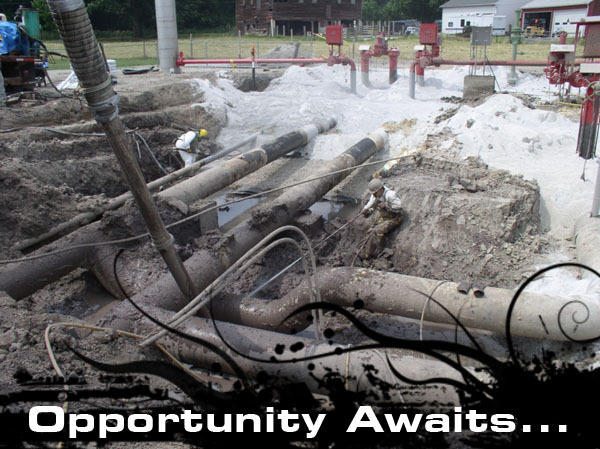 Laborers will perform all required job duties as instructed by an operator or supervisor. Safety is the number one priority of all employees and all employees will be responsible for the safety of all members of the crew. -Safety is every employee’s responsibility. -Follow all safety policies at all times. -Completing tasks in a safe manner. -Report unsafe acts to a supervisor. -Laborers have the right to refuse performing unsafe work. -Required to perform all job duties to the best of their ability. -Follow all work rules at all times. -Performing all manual labor tasks. -Must accept guidance and direction from supervisors and operators. -Continue to learn and grow with the company. -Driving pickups to work sites locally and out of town. -Produce acceptable levels of work at an acceptable level of quality. -Laborers are responsible for maintaining working relationships with others. -Cleaning out equipment after use. -Responsible for pre-trip inspection before utilizing equipment. -Required to have all issued safety gear on every job. -Accept work where and when needed. -Maintain a positive attitude toward work and remain professional at all times. -Show initiative to complete tasks without needing to be told. -Laborers should show the initiative to ask what needs done when they are unsure of what they should do. -Introduce ideas to complete work more efficiently or safer. -Support all decisions once a decision is made even if it is not your idea. Operators for GAP Inc. are responsible for all aspects of the job they are performing and for the crew they are working with. Operators are the main contacts with the customers and are responsible for maintaining positive working relationship with all customers. -Safety is the number 1 responsibility for all employees. -The operator is responsible to ensure the crew follows all safety policies. -A thorough pre-job safety meeting will be held before beginning each job. -Operator is responsible for the safety of the crew and must report safety violations to a supervisor. -The operator should lead by example and follow all safety policies. -Immediately report all accidents or injuries to a supervisor. -Perform all work safely. Refuse to perform unsafe procedures but be professional. Evaluate the procedure for safe alternatives. -Inform safety director or supervisor of all safety concerns, issues or suggestions. -Operators are expected to perform all duties to the best of their ability. -Follow and enforce all work rules. -Expected to utilize the equipment and manpower efficiently and fairly. -Required to check in twice daily with dispatcher or supervisor. -Responsible for the production and efficiency of their crew; Attempt to correct problems with crew members and inform supervisors of the issue. -Inform George or Bill immediately of any problems that you are unable to correct. -Operators are responsible for all supplies and equipment and must return all to the shop or approved staging area at the plant. -Responsible for giving the crew guidance to complete the job. It is the operator’s responsibility to inform the crew what needs done and how to do it. -Maintain positive working relationships with customers and co-workers. -Remain professional at all times. -Advise customers on best procedures to complete work and keep customers informed about the progress of work. -Operators need to deal with all different types of people. -Required to give on the job training to inexperienced laborers. 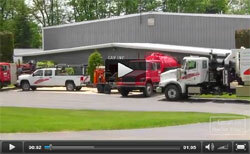 -Help give on the job training to operator trainees. -Keeping work area safe and neat. -Promote a positive attitude toward work. -Responsible for helping with each aspect of the job (do their share). -Encouraged to develop better ways to complete jobs. Do not be afraid to try new ideas. -Complete and return all required paperwork on time and correctly. -Expected to respond and work when and where needed. -Travel and work out of town when needed. -Responsible for all equipment that they drive and operate. -Have all issued safety gear and tools at the job location. -Operators are required to keep learning and gaining knowledge on all equipment and procedures. -Help control cost by utilizing supplies and manpower efficiently. Introduce cost cutting ideas. -Perform a thorough DOT pre-tip inspection to include adjusting brakes and check maintenance items not covered during a DOT pre-trip. -Required to make minor repairs. -Inform shop superintendent of all repairs made. -Operators are required to write all needed repairs on the Gap maintenance form and the equipment board. -Greasing the daily grease points. -Keeping trucks serviceable and clean. -Operators must complete individual mileage reports and fuel log daily.